Freightos makes global trade frictionless with the world’s online marketplace for the trillion dollar international shipping industry. The Freightos Marketplace helps importers and exporters reduce logistics spend and save time with instant comparison, booking and management of air, ocean and land shipments from top logistics providers. The result is international shipping that’s as smooth as booking a flight online.Freightos also provides patent-pending technology that empowers carriers and logistics providers around the world to automate freight sales. Freightos AcceleRate™ and Freightos WebCargo™ power rate management, automated pricing, and online freight sales for over 1,000 logistics service providers and carriers, including multi-billion dollarcompanies like Panalpina and Nippon Express. Freightos has accumulated the world’s largest global database of multimodal freight rates, providing industry transparency with the Freightos Baltic Index. 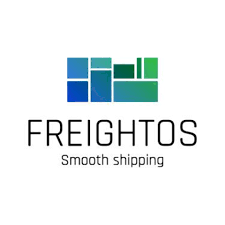 Founded by serial entrepreneur Zvi Schreiber, Freightos is a logistics technology pioneer with a worldwide presence, and has raised $94.4 million from leading venture funds, including GE Ventures.